Ayacnews has posted comments from Fujiko F. Fujio that reveals his view on manga and "What kind of people will be able to become great mangaka." Osamu Tezuka: "Someone who doesn't have sufficient human relations skills will not be able to create manga, because manga is a conversation between the mangaka and his readers." Hayao Miyazaki: "I can't hire an otaku who doesn't have enough experience about life. If you have never seen a fire, how can you draw a fire?" Hideaki Anno: "Stop indulging yourself in manga and anime and go outside, that's the simple picture." 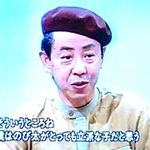 Yoshiyuki Tomino: "Otaku can't even have an innocent conversation with other people. If you want to become an anime creator, just stop watching anime." "I've often heard opinions that say: 'If you want to become a mangaka, you should go out, play around and have a romantic affair. If you have poor life experience, then you are not fit to become a mangaka.' I completely disagree with these opinions. When you attempt to create a story, you would open 'a refrigerator of memories.' You must try to turn your experiences in life into manga. That's it; the contents of the refrigerators in most houses are the same. Many mangaka who have 'experience of human life' will cook with these 'ingredients.' They will think to themselves: 'I have to use this...' As a result, most of the dishes they make are made from experiences of the commonly used school life. However, some mangaka who only have boring and miserable experiences are not like that. They have only bad memories. They don't have a source of stories and inspiration in their memory. Because their 'refrigerator of memories' is totally vacant, they have to go out and buy the ingredients from other places. We mangaka call it 'news gathering' and 'research.' All things start from there. If you want, you can go around the world to buy your materials; you can buy more than just a lobster. You must create manga based not on your experience, but on discreet research. With that the possibilities of your creation will expand endlessly. I support manga made by people like that. I'd wait for manga by miserable losers more than manga by smarter people who can do well in everything every single time." - Fujiko F. Fujio is the pen name of Hiroshi Fujimoto, who, together with Fujiko Fujio (A), created manga under the pen name Fujiko Fujio. - Osamu Tezuka is considered by many to be the father of manga, known for classic manga such as Astro Boy. - Hayao Miyazaki is an anime film director and co-founder of Studio Ghibli. - Hideaki Anno is a anime director best known for his work on Neon Genesis Evangelion. - Yoshiyuki Tomino is an anime creator, director, screenwriter and novelist best known for his work on Mobile Suit Gundam. Submitted by Misa (not verified) on Tue, 2007-03-20 16:04. Hummm, What about Tokyo Crazy Paradise? I don't think the main character ever paid back her debt and I also remember the main guy always giving her things that cost tonz and adding it to her debt. Submitted by gum on Sun, 2007-03-25 11:43. Hmm are you talking about this article? Submitted by Um-me (not verified) on Sat, 2007-03-24 08:03. Um Fujio misinterpreted what other manga artists said. Getting out there and experiencing life has also set backs. Even miserable mangakas have good experiences and bad ones. Manga is personel and researching is experiencing life and communicating! its the same thing! They never said a managka with a bad life can't write! They were talking about otakus~! Submitted by Mayshing (not verified) on Mon, 2007-03-26 18:27. Those people who made the commentary are all my heroes... so I felt compile to say something. The arguement really lay in the first and secondary source. First source being the personal experience, but that can be limiting, after all we all have just one life for each person. If one only draw from their personal experience, it's more likely to get repeatitive in storytelling, but the details and depth one can get to if they can recall it well...is great. Secondary source is the research, gaining knowledge from others. But all in all, the goal is the same, get knowledge. Know more than your readers. For some people, avoiding the secondary source is the best way to reach originality. That could be true, but without knowledge from the second source, how would one know if someone else have thought of similiar things? For others, they argue that secondary source is also vital. The problem with secondary source is probably copying, and repeating what has been made. But if one dig at the right direction for the secondary source, it can be very rewarding, like finding a gold mine. They both have a point, they are both right, both are needed. You need to stock up the food, no matter its from secondary or first, and you need the skill to 'cook' it right, if you cook it wrong, then it doesn't matter what ingredients, it would taste wrong. Submitted by LC (not verified) on Sat, 2007-04-21 10:58. According to a lot of the Japanese commenters, those probably weren't really Fujiko F.'s words. Also, no source is cited and the quotes were likely carefully selected and presented to look as if Fujiko F. disagreed with the other 4. There's a lot of truth to all of these quotes, without life (especially social) experience people won't be able to relate to your work, but without knowledge and insight you'll have nothing new to say. At either extreme you will hit a wall. I hope they really are his words, that passage gives me hope. Submitted by Anonymous (not verified) on Sat, 2007-04-21 15:03. There's a YouTube link to a video interview with Fujiko Fujio, I think it's this one, maybe that's where the quotes came from? No, this is not the source. Submitted by Anonymous (not verified) on Sun, 2007-04-22 08:27. No, this is not the source. But the picture in the article comes from this video. Fujiko talks about another topic in the video, which is also interesting. Submitted by Anonymous (not verified) on Sat, 2007-12-01 22:17. I need some of the life experience about Fujiko, more than the info in Wikipedia ! Submitted by Steve (not verified) on Mon, 2008-03-03 16:40. You really made a piece of art out of this article. I've always found mangas to be more than just comic books. They relate to me in a way no novel ever did. In mangas I have all the heroes I want, all almost human, almost with the same problems I'm having. I'm waiting for the one where the main character would work the day shift at Appliance Parts and the night shift saving damsels in distress so that he would look more like me. Submitted by Johanna (not verified) on Wed, 2008-06-18 17:59. I like to read some original story that's unpredictable and fascinating. Usually, people that have done this for a long time have their own style that never changes. This is why I prefer to read the first work pf some unknown "mangaka" then the one of a famous author. Submitted by war gold (not verified) on Tue, 2008-08-05 15:44. Excellent advice, not just for drawing either. We could all use to incorporate these things. Submitted by Warhammer (not verified) on Tue, 2008-10-14 01:00. Neat advice. I have a friend in the states who was planning to move to Japan to become a mange author until I smacked him out of it hehe. For 1, he doesn't speak Japanese but based on your post, life as a manga writer can get quite complicated. Submitted by eve isk (not verified) on Fri, 2008-10-31 06:05. The badges were good - pretty much the one thing in the Ghibli shop that was cheap (aside from the Jiji stamps and the Kiki stamp-pad).